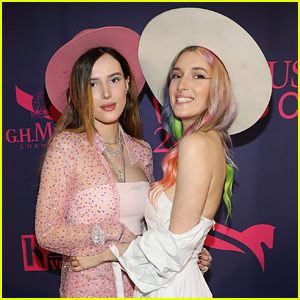 Bella Thorne & Delilah Belle Hamlin Won Fashion Week & We Have Receipts! 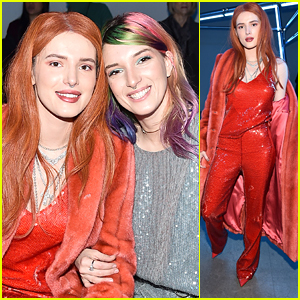 | Bella Thorne, Dani Thorne, Delilah Belle Hamlin | Just Jared Jr.
Bella Thorne proves that red is her color while attending the Sally LaPointe fashion show during New York Fashion Week: The Shows at Gallery I at Spring Studios on Tuesday (February 12) in New York City. The 21-year-old actress sat front row with sister Dani, just after attending the Prabal Gurung NYFW after-party the night before. Model Delilah Belle Hamlin is also pictured below at several events during the fashion week. Delilah stopped by the Dion Lee, 3.1 Phillip Lim, John John and The Blonds‘ presentations before hitting up the Stuart Weitzman Spring Celebration on Tuesday night.